Does coffee consumption impact sleep-disordered breathing? 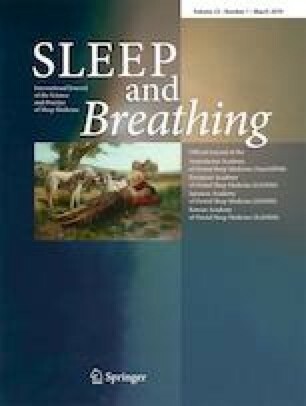 In this issue of Sleep and Breathing, Takabayashi and colleagues report on a study assessing the correlation of coffee consumption with a 3% oxygen desaturation index (ODI) as a measure of sleep-disordered breathing (SDB) . In their cohort of Japanese men, after accounting for age, smoking, alcohol consumption, body mass index, and sleep duration, individuals who were overweight were found to have a significant inverse association between coffee consumption and ODI. While this does not establish causality, i.e., coffee ameliorates SDB, it is a finding that should prompt further research, especially given the ubiquitous consumption of coffee globally and dearth of studies on this topic . The current study focused exclusively on coffee consumption and as the authors note, coffee is consumed in lesser quantities in Japan compared with Australia, Europe, and the USA. The group of Japanese men that had the lowest ODI was those that reported consuming 540 cc (18 oz) or approximately 220 mg of caffeine. In an assessment of caffeine-containing products which include coffee, soda, and tea in both men and women from the Sleep Heart Health Study (SHHS), Aurora et al. hypothesized that SDB would be associated with caffeine consumption in a dose-dependent manner, as a self-treatment for the sleepiness of SDB . While they did not find an overall relationship between coffee and SDB in this study, they found a dose-dependent relationship between caffeinated soda intake and increasing severity of SDB in women. There are substantial differences between the two studies that include the SHHS performed home sleep apnea testing with a 4% oxygen desaturation threshold compared with a 3% desaturation threshold on home oximetry; the specific populations studied (Japanese men, mean age 41.3 years and BMI of 26.4 kg/m2 compared with US men and women, mean age 62.8 years and BMI of 28.4 kg/m2); and that coffee is different from caffeinated soda. Yet, the fact that caffeine-containing products in one study were associated with an improved ODI and in another were associated with worsened SDB is clearly provocative. Caffeine is well known to promote wakefulness and disrupt sleep. The most definitive assessment of caffeine on sleep was conducted in a study of healthy individuals with regular caffeine intake who did not have findings suggestive of SDB . The participants in this study had a baseline PSG without caffeine and then a PSG following 400 mg of caffeine at bedtime and 3 or 6 h prior to bedtime. Compared with baseline, caffeine administration at all time periods significantly decreased total sleep time, sleep efficiency, and slow-wave sleep and increased wakefulness after sleep onset. If measuring SDB using oxygen desaturation alone, it is reasonable to consider that higher caffeine intake caused less SDB by increasing wakefulness and sleep disruption. In fact, in the study, individuals with the greatest coffee intake reported the shortest sleep duration at 6.7 h per night, which was factored into the analysis. Another possible explanation for the finding of a lower ODI is that caffeine, when ingested orally in higher levels, acts as a respiratory stimulant. The half-life of caffeine is prolonged in habitual coffee drinkers with greater caffeine intake . Caffeine, a methylxanthine, is a respiratory stimulant and with intravenous administration in the range of 5–10 mg/kg, has been shown to be as effective as theophylline in treating apnea in preterm infants . There is one study which evaluated 800 mg of theophylline administered nightly for 4 weeks in 12 patients with OSA . While theophylline significantly decreased the AHI and oxygen desaturations > 4%, this was in part due to increased sleep disruption. Similarly, Javahaeri et al. reported that in patients with stable congestive heart failure, theophylline in sub-therapeutic doses decreased the AHI by 51% (primarily central apneas) and improved oxyhemoglobin saturations, but with no change in overall sleep quality . A limitation of the current study is that oximetry alone was used to approximate SDB. Further research using type 1 polysomnography is needed to determine the impact of coffee and/or caffeine on SDB when scoring respiratory events using oxygen desaturation as well as arousals, given that the arousal index should be higher with caffeine ingestion. One question that arises from this study is whether or not there is a potential role for coffee in the treatment of SDB. Use of other sources of caffeine besides coffee is also intriguing. Clearly, too much caffeine or caffeine within 6 h of sleep onset can worsen sleep latency and continuity as well as sleep quality, but perhaps an appropriate dose can improve SDB in adults. Further, by stimulating brainstem respiratory centers, it is possible that there is a role for caffeine in the treatment of central sleep apnea or so-called complex sleep apnea in adults. The study by Takabayashi et al. provides initial findings that coffee and/or caffeine, in an appropriate dose, may improve SDB though this finding does not necessarily imply upper airway collapse is treated.